A great smile at any age. 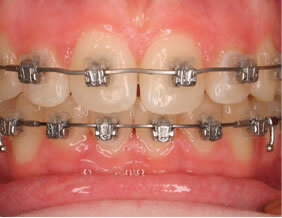 Children, teens, adults – anyone can be a candidate for orthodontic care, at just about any age. If you suspect your child has an orthodontic problem, the American Academy of Orthodontics (AAO) recommends you consider a check-up no later than age 7. 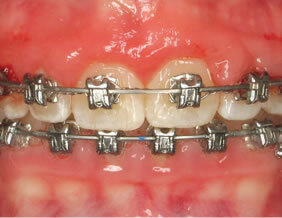 There are some orthodontic problems that require treatment prior the age of 10 to prevent surgery. We love to see children at a young age to ensure that we can provide treatment when it will be most effective for them! Often, it’s unlikely that your child will need treatment that early, but Mantel Orthodontics will monitor the growth of your child’s teeth to determine the right time to begin care in our Growth and Guidance program. If no early growth or eruption problems have been detected, the ideal time to start treatment is once all the baby teeth have been lost. Often, this is around age 12, but can vary pending the individual. If your teenager still has baby teeth by age 14, please see us to determine if there is a problem with the eruption of the permanent teeth. At Mantel Orthodontics, we delight in helping teens achieve a smile that fits their face as nature intended. And the extra boost of confidence from a great smile couldn’t come at a better age. 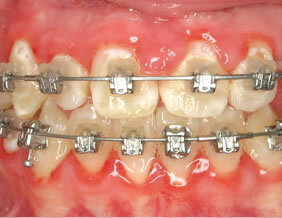 Prevent and intercept orthodontic problems. Improve outlook and attitude by increasing self-identity and pride. Treat majority of problems when child is most cooperative, not during the independent teenage years. Improve chances of avoiding extraction and surgical procedures. Utilize deciduous teeth for anchorage. Utilize orthopedics when sutures are actively adjusting. Guide eruption of permanent teeth, regulating space where needed. Eliminate adverse habit patterns (tongue, thumb, etc.). Avoid fracture of protruding teeth. 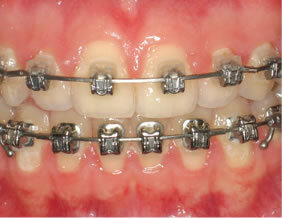 Prevent impaction of cuspids with early expansion. Improve changes of good speech development. Change functional factors (lip pursing, tongue posture, etc.) that can morphologically change and worsen the problem. Utilize early expansion to help eliminate some breathing problems; early maxillary orthopedics can help increase nasal airway. If you’re an adult, why wait any longer to be at ease and confident about your teeth? The physiology of realigning teeth is the same in adults as it is in children; orthodontic treatment just may take a little longer because bone tissue is denser. Our aesthetic-based approach at Mantel Orthodontics assures you of a smile that will truly complement your facial features. 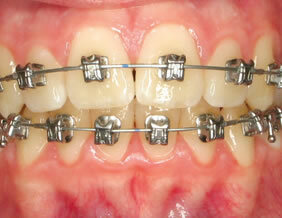 More and more adults are feeling comfortable having orthodontic treatment. Imagine the difference it could make to let that smile come out of hiding. A beautiful smile is just the beginning. Correct alignment helps your teeth do what else they’re supposed to do – bite. When your upper and lower teeth fit together properly, you bite, chew and speak naturally. Correctly aligned teeth contribute to your overall feeling of health and wellbeing. At Mantel Orthodontics, we want to help you be your best, smiling outside and in.